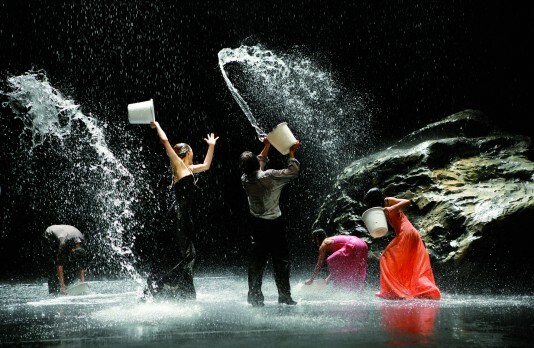 Wim Wenders encountered the choreography of Pina Bausch in mid-1980s, and immediately knew he wanted to work with her. She took some time to warm to the idea, but before long the two were discussing a collaboration. Wenders's problem, though, was that he couldn't figure out how to make a film of her Tanztheater Wuppertal company's dancing; he said there seemed to be an "invisible wall" keeping a satisfactory film from being made. The two would cross paths repeatedly over the decades, with her asking him how it was coming, and him answering that he hadn't figured out how yet, until the exchange became so routine that they just exchanged gestures to convey the status quo. 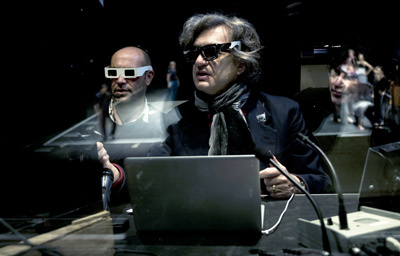 That finally changed in 2007, when Wenders saw U2 3D, the 3D presentation of the band's Vertigo tour. He called up Bausch and told her he had finally figured out how to make the movie. Unfortunately, due in part to the lengthy lead time required to coordinate schedules and mount the four specific programmes they wanted to film, it would still be years before they would be ready to shoot, and in the interim, Bausch died of cancer before shooting could begin. Wenders expected that this meant the project was off, but thankfully the dancers in the company encouraged him to still make it. The film is therefore structured around individual dancers and their reminiscences of Bausch, with no narration or dialogue aside from the dancers themselves. Wenders presents portraits of individual dancers coupled with signature or favourite solos or duets of theirs, set in the environs of the city of Wuppertal (including its unusual suspended train line) which provide some striking and whimsical juxtapositions. Cut together with the four live dance presentations and old footage of Bausch herself, the overall effect is a tribute to Bausch, but also an intimate experience of the dance itself, and an insight into the company and how it functioned. 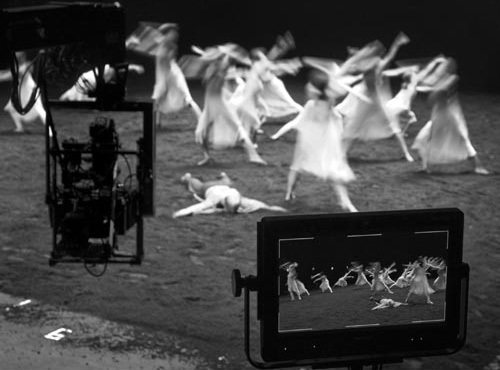 Wenders does get playful with the film at times, such as inlaying footage of part of one live dance inside a scale model two dancers are looking at, while recalling how Bausch conceived of the choreography for the piece. For the most part though, he tries to be faithful to the dance, out of reverence for Bausch, who he was always conscious of not wanting to disappoint. The 3D seems only to be used to give a more true-to-life and intimate experience of the dance, with very few gimmicky shots (the scale model shot being the only such exception I can recall). The effect of the 3D is subtle but successful in conveying a more authentic theatre-like experience. Ultimately the (albeit understandably) melancholic tone undermines and distracts from the impressive and imaginative choreography that should be the focus, and in particular I found the old footage of Bausch somewhat jarring, while adding very little value. However, overall the film serves as a fantastic introduction to modern dance and an entertaining and inspiring experience in its own right. I would recommend it for anyone with the slightest interest in dance or performance art, or really even for anyone who can keep an open mind to such artforms. Incidentally, Tanztheater Wuppertal will be performing at the NAC in Ottawa in late November, in case you would like to see them in person. Wenders also announced at the screening that Pina has been selected as the German entry for the Academy Award for Best Foreign-Language Film, and it has recently been short-listed for the Academy Award for Best Documentary Feature. I'll go on record as predicting it won't win either award, but it does deserve that degree of consideration.